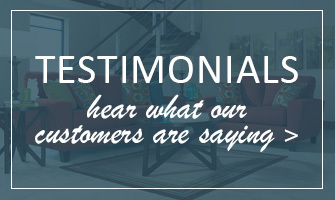 Whether you are now telecommuting or just need a comfortable, practical space to manage your home’s affairs, count on us for high quality, stylish home office desks, chairs, and more. 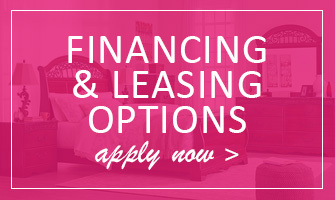 Choose from a vast array of styles to fit any décor and at prices to please you even if you are on the strictest budget. You’ll savor the savings! When you buy your home office desk from us, you can pick from a staggering style selection from the forthrightly traditional to the sleek mid-century chic very much back in fashion, with an array of sizes to best accommodate your work and space. For simple computer desks alone, Flamingo offers you more than 60 options! 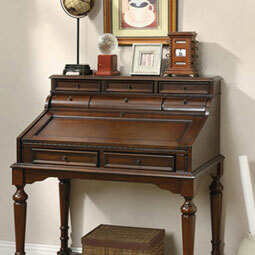 If you have only part of a room, consider one of our attractive and practical corner desks. 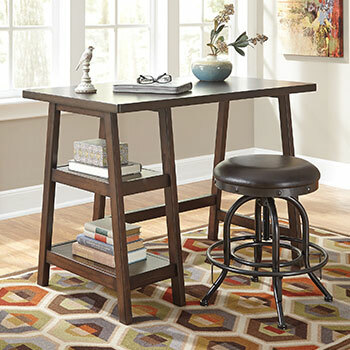 The tiniest nook can be functional as well as appealing for your home office with one of our secretary desks, possibly as a workstation for your laptop. 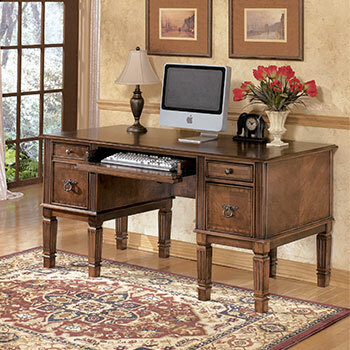 If you have a dedicated room for your home office and you are seeing clients there, impress them with one of our heavier, commanding executive desks with their air of tradition. Sold on the idea of standing while you work in order to improve your health? 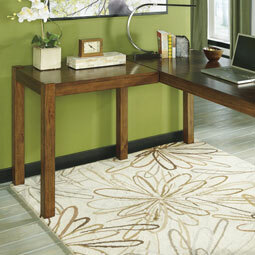 Check out our adjustable height office desks. Needs lots of storage? Then perhaps one of our credenza desks with animpressive accompanying hutch to fill a wall with shelves,is right for you! If you prefer to do your tasks while seated, we carry a multitude of home office chair options at fair prices, from the richly traditional upholstered look to sleek contemporary lines to minimalism. 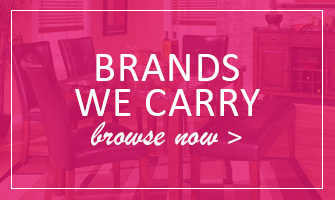 Choose from hundreds of items, ranging from our luxurious highback captain’s chairs, to sturdy traditional office styles, to the latest in back-saving ergonomic office chairs to preserve your ideal posture, to stools to make even the smallest office nook comfortable. 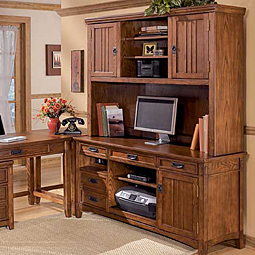 To outfit your home office properly and affordably, look no further than Flamingo Furniture. Stop by our Brooklyn, NY store soon!